Two hundred years ago, fur traders celebrated the success of the trading season with a giant party. Today visitors can explore the sights and sounds of 250 reenactors visiting the Snake River Fur Post in the fall. 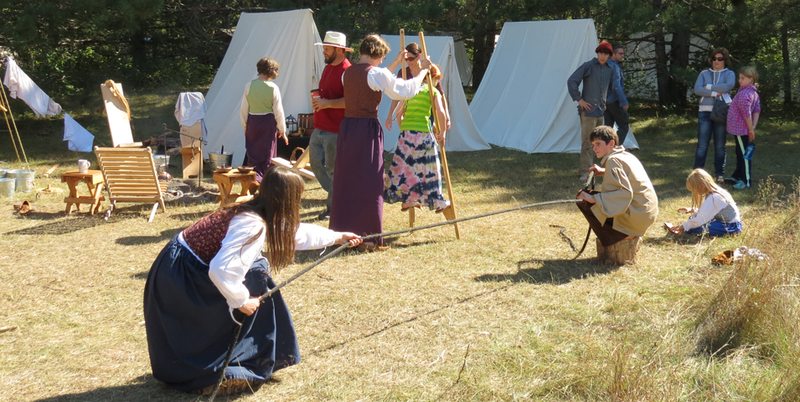 Witness feats of strength and skill as contestants vie for the title of the best all-around voyageur. Shop for historic crafts and join children's activities. On Saturday evening, learn the steps of lively country dance with live music.